Buses in Paris and Grenoble already offer this service, but this week (on March 8, International Women’s Day) Strasbourg and Lyon announced that they too planned to introduce the scheme soon. The system allows women to get off bus routes at the most convenient point, dropping them as close as possible to their home, rather than at a designated bus stop that is likely to be further away. The bus driver will still reserve the right to refuse the request, if it would be unsafe to stop, but will try to stop where possible. 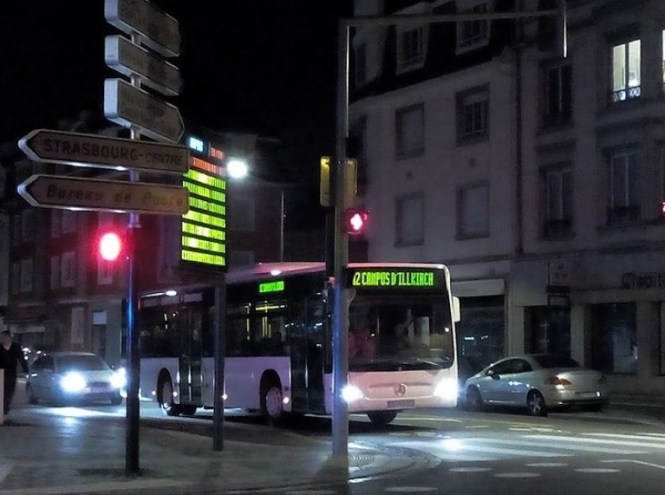 The scheme will apply firstly to the bus route that links Strasbourg city centre to Neuhof, and may be rolled out across other lines should it prove successful. Lyon transport authority les Transports en Commun de Lyon (TCL) also confirmed on Twitter that they were set to launch the scheme on their C14 bus route imminently.